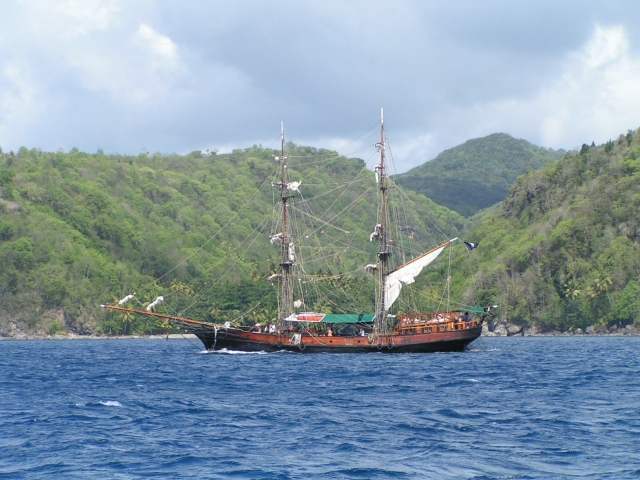 We left Martinique and made for Rodney Bay in St Lucia, basically to buy fuel and move on. We met some friends there on a boat called "SQUIZ" so we stayed one night. Here I get the balls up, well in my left hand is the "At Anchor" dayshape and anchor light which hangs in the foretriangle. 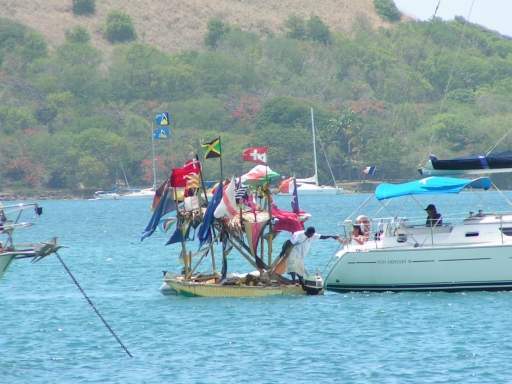 One of the more creative of the "Boat Boys" we have ever seen, has flags from all nations adorning his skiff. "Hi My name is Jeffrey, is there anything you need" was his greeting. He had a very nice attitude. 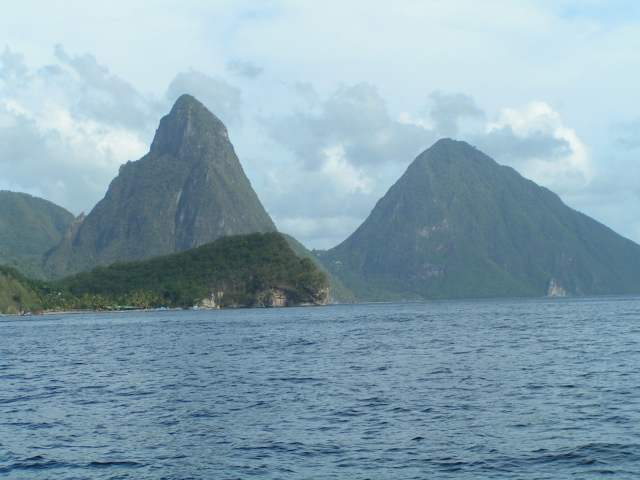 St. Lucia is one of the more affluent and prosperous islands in the Caribbean. Beautiful homes in verdant settings as we left the next day. 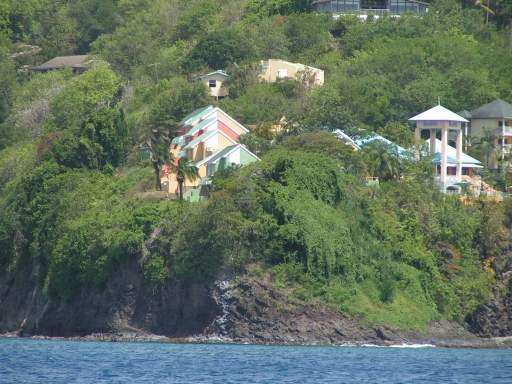 For all you Piton lovers out there, snapped as we started the overnight passage, past St Vincent (because of recent crime reports) to Bequia.